Export: Deep cleansing(Every ten minutes):Clean the dirt inside the pores. Import: Moist nourishment(Every ten minutes):White replenishment. Our new breakthrough skin care products will give the skin a natural healthy glow,so that it can be restored to a smooth young state.Instrument of ultrasonic and ion technology deep clean pores of dirt,ultrasonic and ion into the deep skin nourishment.promote skin more effective absorption of comestic. Adhere to the use of the skin can make the skin more fresh and more shiny,is to maintain a young and healthy skin to lay an important foundation. The skin in the ultrasonic vibration over 3 million times per second under the stimulation of reactivation of physiological activities has stopped or very weak,ultrasonic broken pores with a deep cleansing,to achieve,you will discover that your face more and more smooth and delicate. 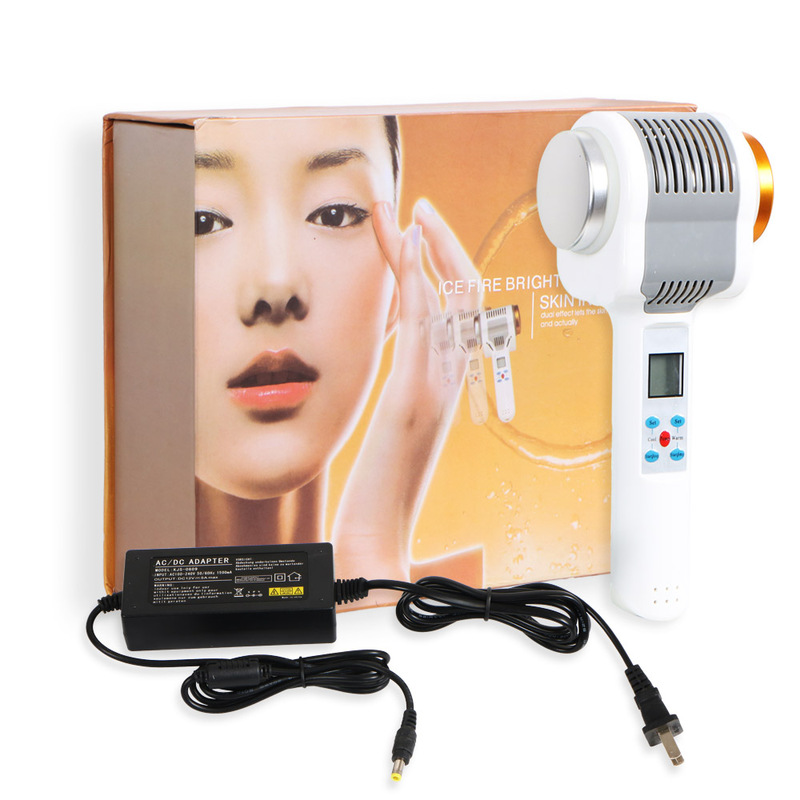 Hot and cold hammer is one of the equipment that should not be missing in any beauty center or clinic. This working tool has a variety of functions and benefits for the skin, especially for the face. With both sides are a different temperature, one heat and another one cold.